The internet is one of the greatest inventions of all time. It allows people to stay in contact with their relatives while living thousands of miles apart. It lets freelancers (like humble language blog writers) work remotely, in their pajamas. And it has made online learning possible. Online language learning is growing at the speed of light. About 10 years ago I had one single student on Skype. Today, I have 27. 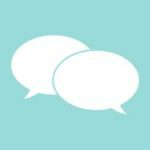 Every language learner can take advantage of online learning, but it is especially useful for beginners. The are millions of online resources that allow you to learn a new language without leaving home. You may not be sure which one to choose (that is my job), but they are still there, and every single person can find a resource perfect for them. With beginner Spanish learners in mind, I have created a list of the best free Spanish learning online resources where they can start their journey. Online language learning is the best tool you can possibly wish to have nowadays. About 20 years ago, when I started learning French, I had not even heard of “the internet.” I had a paper book and a tutor I shared with 30 other people once a week. 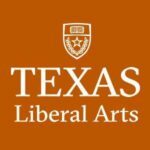 It took me four years to get to an intermediate level! Not because I did no want to, but because I had no other resources available. But you are lucky enough to live in the era of online learning. You have already taken the most difficult step on your way to fluency: You have decided you want to start learning Spanish! The rest will just be the fun part. By studying Spanish online, you can choose to learn whatever you want, whenever you want. If you do not feel like studying grammar one day, you can learn some new vocabulary. If you have a sore throat and cannot talk, you can focus on listening exercises, instead. You mark the path, you choose the contents and you decide when, where and how to do it. Variety is not the only advantage of learning online! You can also decide how much you are willing to spend on your learning. As you will see in this post, free does not mean lower quality. There are indeed services that you will not be able to get for free (like private tutoring), but the materials available that do not cost a single penny are more than enough for a beginner to successfully study the language without breaking a sweat. 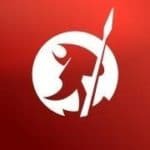 By the end of this post, you should have all the information you need in order to start learning Spanish online as a beginner. I recommend trying a few options until you feel comfortable enough with your choice (or choices!). Remember: the more fun you have while learning, the further you will go! Duolingo is one of the best language learning resources available online at the moment. Out of the many courses created especially for English speakers, this Spanish course is possibly the most comprehensive. 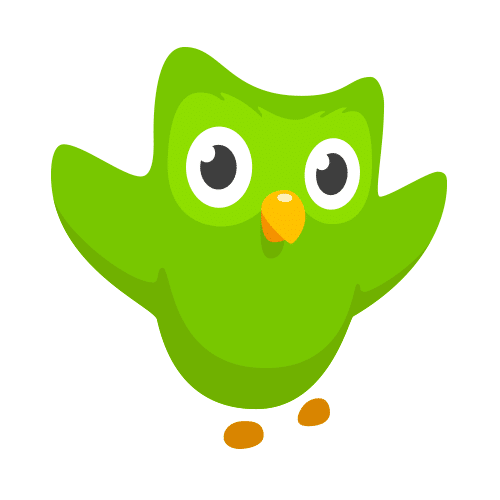 Duolingo’s method is based on repetition and association. By listening to the same words over and over again and associating them with different images, your brain has time to absorb the new information and keep it longer. The different types of exercises (like choosing the correct option out of many possible choices or rearranging words to form coherent thoughts) make the learning process very enjoyable for the learner. Besides this, the hundreds of categories you can unlock by completing previous levels cover practically every imaginable topic. The level-up function encourages you to compete with yourself and others and makes you want to learn more and more. 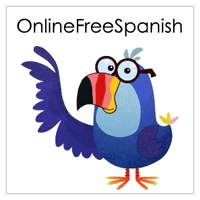 Practical Spanish Online offers a complete grammar course in three levels. Starting from the beginning, each level is divided into many different categories that are, in turn, divided into individual topics. 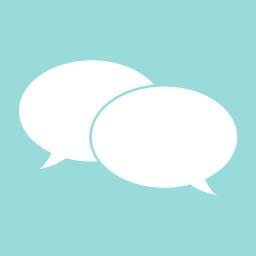 Each topic contains grammar explanations, vocabulary with translations, audio and even video! The “Practice Readings” at the end of each level are great to assess how much you have learned and which areas you need to improve. You can listen to a native speaker reading the texts while having them on your screen for you to follow, then practice reading comprehension by doing some question and answer exercises. The Spanish Experiment is one of the best websites I have discovered recently. It looks pleasant to the eyes, which makes studying online much nicer, and it is a great place for people who want to start learning Spanish. 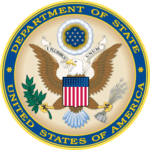 The course is divided into different topics that are explained in English but include hundreds of examples in Spanish read by a native speaker. In every lesson, you have access to all the other lessons on the left part of the screen, so navigating between the different topics is really easy. The content, the explanations and the examples with audio are all excellent. But there’s more! If you feel like listening to some more Spanish, click on the tab “Spanish Stories.” There, you will find different Spanish stories you can listen to and read at the same time! All the stories are translated and contain super funny drawings. Loecsen’s Spanish course is the type of beginner’s course someone would try in order to see if the language is right for them. Even though it covers about 20 topics, I feel that there is not enough material to call it a complete course for beginners. However, if you want to have your first contact with the language, this is the site for you. Every topic contains vocabulary read by a native speaker and funny drawings for almost every word. Just choose a topic, press play and start learning! You can take quizzes to see how much you have learned and see your progress if you scroll down the page (which is useful but not very user-friendly). Although I feel it is not comprehensive, this is a fun way to dip your toes into Spanish and see if you want to continue learning it. Online Free Spanish was created especially for kids, but anyone who wants to have fun while learning Spanish is more than welcome to try it. It is divided into 20 lessons which include different topics (from the alphabet to vocabulary words about toys, fruits and numbers), and it guarantees hours of fun and learning. 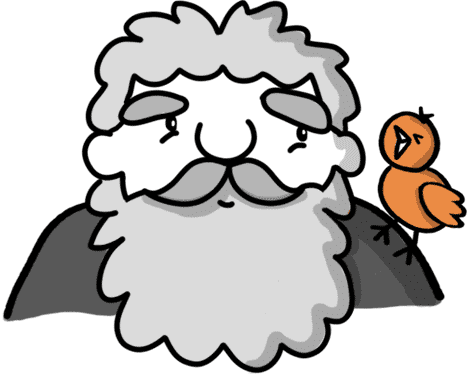 Each lesson contains many different games to practice the topic and printable coloring pages with the vocabulary covered. 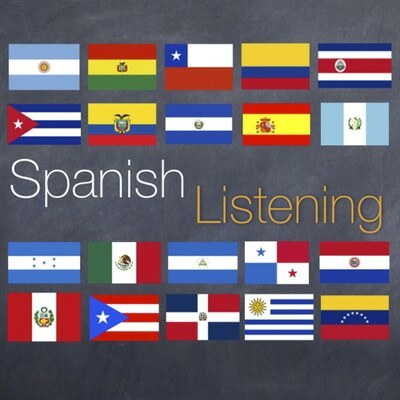 Spanish Listening is a great place to practice your listening skills from the very beginning. It contains over 450 audio lessons on so many different topics that it would be impossible to include them all in here. As you will notice when you access the site, the first thing you have is a lesson search option. 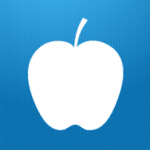 You can view lessons by level, topic, country, lesson number and more. I recommend choosing by level if you are just starting, but feel free to explore the site as you wish! If you choose by level, you will be given the option to pick a level. Choose “Beginner” and a list of topics becomes available. I opted for “All Topics” in order to see how much was available (which is a lot!). Choose your topic to have access to the lesson. Each lesson contains a video with a script, some audio questions for you to answer, a vocabulary section with examples and a quiz for the lesson video. If I were a learner of Spanish, I would definitely use this site. Study Spanish is one of the most complete Spanish courses out there. 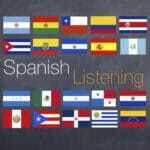 The Pronunciation section has 50 topics covering every single difficult aspect of Spanish accent and pronunciation. Grammar is divided into nine units that contain 107 topics, while Vocabulary has six units and 55 topics. The Verb Drills section is where you can practice every Spanish tense and generate quizzes to test your knowledge. There is not much to say about this site aside from the fact that it is an absolutely excellent place for beginners to start their Spanish learning. It will build a solid foundation for future learning! Do not be fooled by the simplistic design of this website. The University of Texas’ Spanish course is every Spanish learner’s dream! It is divided into different levels, each one containing several tasks. Each task includes videos on the topic, grammar explanations, vocabulary, phrases with translations and a podcast! If you enjoy a compact, fast-paced way of learning, this is where you should start. The beginner section could be a little more comprehensive, but the material that is available is simply awesome. Headstart 2 is what I would call a different kind of Spanish course. Please note that you need to allow Flash to run before you can use the site. If you’re not seeing the content, click on the “i” to the left of your address bar and make sure Flash is set to “Allow”—and voila! The page should load once you do this. The first category contains 10 modules where you can learn about different topics in Spanish (like numbers, animals, commands, etc.) through the use of games, songs, audio exercises and more. The second category is also composed of 10 modules, which introduce the student to vocabulary and topics related to military operations. Yes! This is a Spanish course for soldiers! Even if you are not a soldier, you will find the first category useful as a beginner. The “Military” category might not be as engaging if it does not apply to you, though. Do you think you have what it takes to give it a try? Then get down and give me 20! Conjugations, that is. 123teachme is yet another great website full of learning materials for beginners. Divided into groups (or lessons), it starts with the basics of the Spanish language and ends with lessons covering the imperfect. On the way to the last lesson, you will learn about numbers, tenses, quantifiers, prepositions… In short, you will learn everything you need to know to reach the intermediate level without even noticing. Each lesson contains grammar explanations, vocabulary and sentence exercises and review quizzes, and all the Spanish examples are read by native speakers! I must confess I have added this last resource more for me than for the modern online student. If you have not heard about the FSI, it is a United States training course for government employees working in foreign affairs. 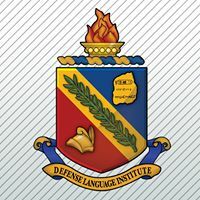 Most of the materials for these language courses were created about 50 years ago, but they are overwhelmingly huge and comprehensive. For instance, the Spanish beginner’s course contains around 2,500 pages divided into 55 lessons! I am sure many of you prefer modern, interactive courses with colors, songs and whatnot, but if you are a romantic like me and are in love with old books and old audio files, you will not find a single place on the internet where you could learn more Spanish than here. A fair warning, though: 50-year-old audio files can be a little difficult to listen to sometimes. And that is all, my friends! 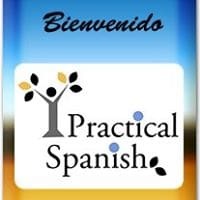 If you are just starting to learn Spanish and do not know where to start, these are the sites you should have a look at first. Try some of them for a couple of days and only then decide which one suits you best. I am glad you have decided to learn this amazing language. I wish you the best on this journey. Never give up. Happy learning!